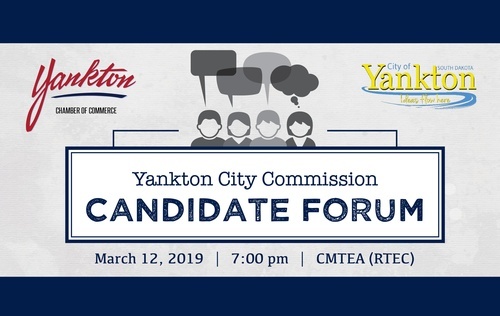 Come and meet the candidates running for Yankton City Commission. There are three open positions and four candidates. This forum will be facilitated, with candidates answering written questions from the audience.